Fox News continued to deviate from MSNBC and CNN on Tuesday night, downplaying the new NYT report about Comey's memo and Monday's Washington Post report that Trump revealed classified information to Russia. Hosts called the reports "fake," and criticized the journalists for using anonymous sources while pivoting to cover other stories, like the Clinton Foundation, the President's first trip overseas and the conspiracy theory around the murder of DNC staffer Seth Rich, which was debunked by NBC earlier Tuesday evening. Why it matters: Fox's coverage may be hurting its ratings, especially amongst younger viewers. MSNBC beat Fox in the coveted 25-54 demographic demo for the first time in seven years last week and both MSNBC and CNN beat Fox in the demo Monday and last Tuesday. MSNBC rising: MSNBC has been edging in on Fox's lead overall, due in large part to the 9 p.m. hour with Rachel Maddow. 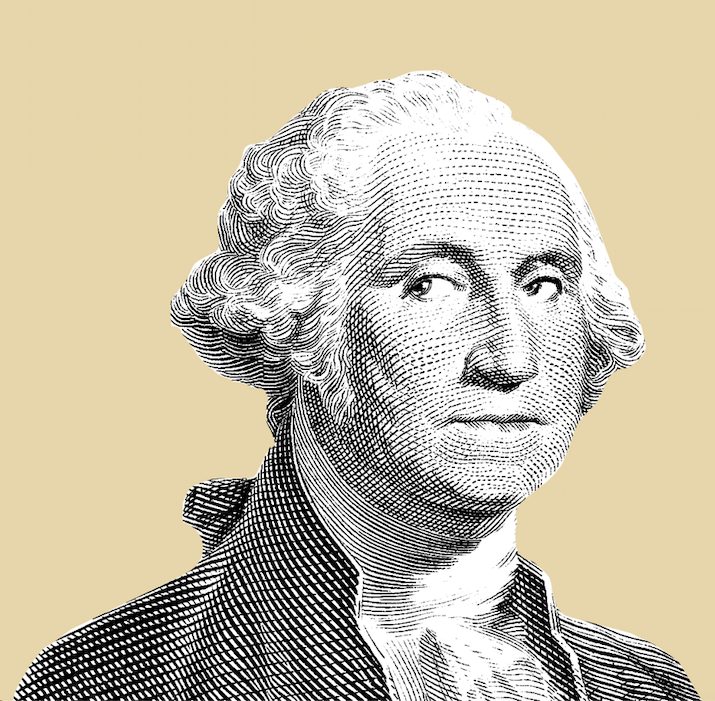 But while the network has seen notable gains this past week as White House scandals have escalated, that success is part of a broader trend. Fox ratings have been steadily decreasing over the last three months, while MSNBC's have been rising. 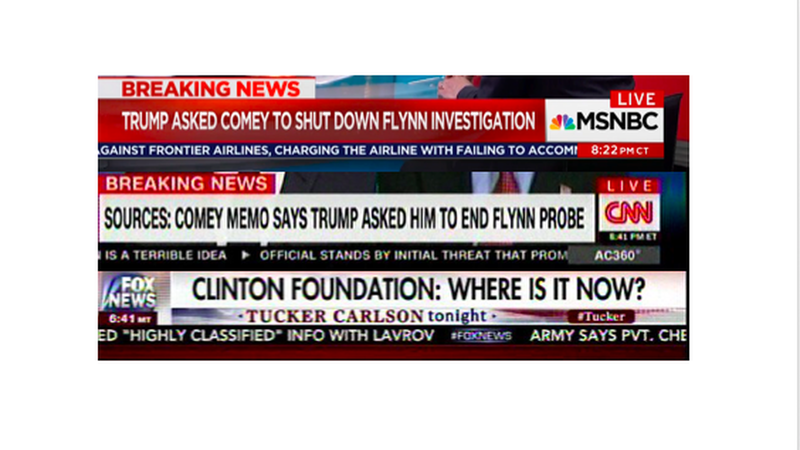 In the 8 p.m. hour: Fox host Tucker Carlson discussed the Clinton Foundation, a tax provision in NY targeting Trump and a show cancellation, while Chris Hayes on MSNBC and Anderson Cooper on CNN focused almost exclusively on the Comey memo. At one point, NYC Councilman Corey Johnson told Tucker Carlson on his Trump NYC tax bill segment: "I'm just a lowly city council member. There's bigger news today than this." In the 9 p.m. hour: Fox's Jesse Waters on "The Five" called the Comey revelations a "fake scandal," and Fox's Kim Guilfoyle suggested Comey may have made up the memo, while Rachel Maddow focused almost exclusively on the Comey scandal and CNN aired its exclusive with Sally Yates and focused on the Comey memo. In the 10 p.m. hour: Sean Hannity opened with a graphic reading "Washington Post WRONG AGAIN," and called a CNN coverage of the Washington Post Russia report "fake news." MSNBC continued to nearly exclusively cover the Comey scandal while CNN featured a town hall with Sen. Bernie Sanders and Sen. John Kasich where the Comey memo was discussed.